Europe's searing temperatures have this summer transformed normally lush pastures to a dusty brown in a matter of weeks. The drought, especially in northern and central parts of the continent, has had a devastating impact on crops. Here we look in more depth about the drought’s origins, how much climate change is a factor and what is being done to tackle it. How bad is Europe’s drought? 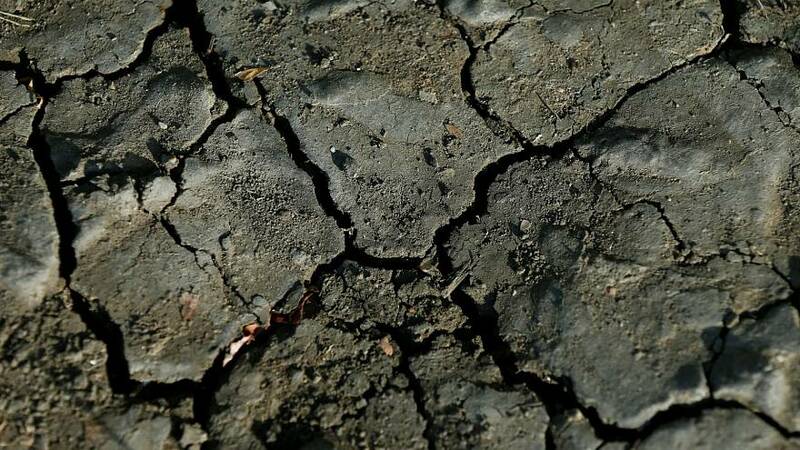 Heatwaves, record temperatures and disastrous precipitation in the first part of the summer have caused the drought, according to the World Meteorological Organization. April and May were the warmest on record when it comes to average temperatures across Europe, it’s been claimed. This continued into the summer with June and July temperatures well above average in northern Europe. Temperatures topped 30℃ in the Arctic Circle, Norway hit a record 33.5℃ on July 17 and Finland saw its hottest July on record. Rainfall has also been very low: the European Drought Observatory’s precipitation map shows ‘extreme’ dryness across large swathes of northern Europe, stretching from Belgium and the Netherlands to Finland and Estonia. Scientists have pointed to the combination of climate change and a high pressure weather system remaining stationary over Europe for a sustained period. There is debate around what causes these systems to remain ‘blocked’ in place for such a long time. Researchers are looking at whether climate change is responsible for changing sea surface temperatures, which in turn alters the atmospheric circulation and leads to more blocking of weather patterns. Has the drought in Europe been caused by climate change? “It’s certainly been intensified by climate change and these events will unfortunately become more frequent,” Jean-Pascal van Ypersele, one of the world’s leading experts on climate change, told Euronews’ Bryan Carter. “The plan the EU has to fight climate change were prepared ahead of the Paris climate conference in 2015 and they have not been fully updated yet, three years after the Paris agreement, which is a shame. “The level of ambition does not match the very objective of the Paris agreement, that is, to keep warming below 1.5℃ above the pre-industrial temperature. “We’re not too late to avoid the worst-case [scenario], but we are too late, obviously, to avoid the impact we are starting to see now. “Climate change is starting to show its effects and it’s a stark reminder that the level of action needs to be much stronger than we see today. What’s being done to tackle Europe's drought? Brussels has responded to requests from EU member states by loosening regulation and bringing forward payments to farmers worst hit. Farmers will now be able to receive up to 70% of their direct payment, and 85% of rural development aid in mid-October instead of December. What have the impacts of Europe's drought been? Farmers across Europe are bracing themselves for one of the worst harvests in a generation, with yields of some vegetable crops set to be down by up to 50%. “With the hot and dry weather continuing throughout July across most parts of the continent, vegetables have continued to suffer and crop yields have fallen sharply,” said the European Association of Fruit and Vegetable Processors. The drought could cause a shortage of potatoes big enough for industrial production of French fries, a German industry group warned in July. Meanwhile, analysts at Strategie Grains said wheat and barley yields in Germany and Scandinavia could be described as catastrophic, while they were low in France, Italy, UK, and the central and southeast EU countries. It’s unclear at this stage what impact the drought will have on consumer prices, but farmers are already being squeezed for the price of hay. Many have had to purchase more hay for fodder because the grass on which their herds normally graze has not grown. Meanwhile in Norway, electricity prices are expected to go up because of the country’s high dependency on hydropower. Country-by-country breakdown: which parts of Europe are worst affected? 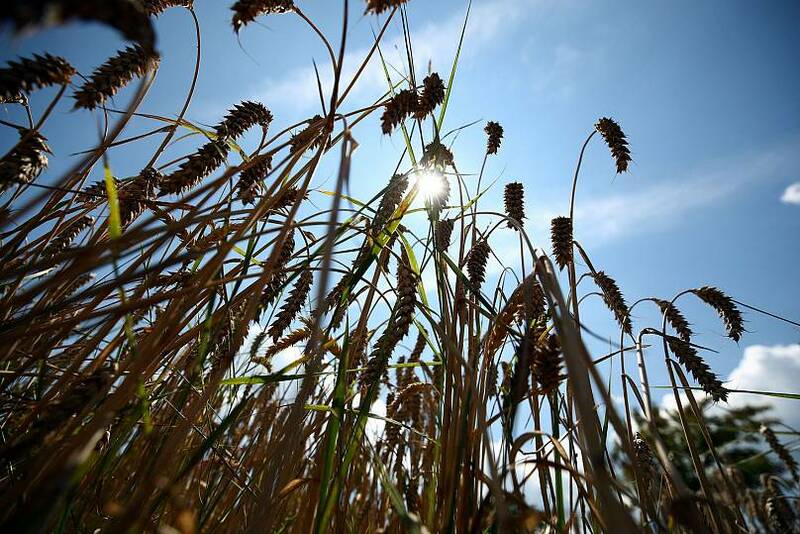 Sweden's wheat harvest could fall by more than 40% on the year, hit by dryness and a heatwave, the head of the grain unit of giant Swedish farm cooperative Lantmannen said. Its wheat harvest could fall by more than a million tonnes this year, forcing the country to switch from being an export of the grain to becoming an importer, said Lantmannen's Mikael Jeppsson. 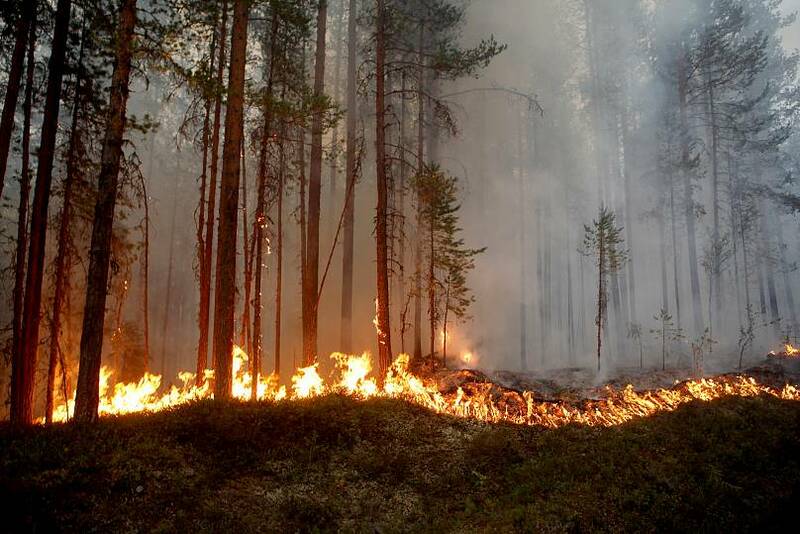 The drought has also helped cause an outbreak of wildfires, which have stretched as high up as the Arctic Circle. Finnish farmers suffered losses during the dampness and coldness of last year and are now suffering drought, a crisis meeting of MTK, the Central Union of Agricultural Producers and Forest Owners, heard. It called for a review on what foods the country imports and said competition was unfair. “I have never seen this type of hot and dry weather, and I’ve been farming over 30 years,” Max Schulman told NBC News from his farm about 35 miles outside of Helsinki, where he grows beans, oats, wheat and oilseeds. Schulman said his farm has received just three inches of rain since the end of April, compared with 10 to 14 inches most years. Temperatures approached 30C last week in Finland, where the August average is 19C. With few air-conditioned homes in the country, a supermarket in Helsinki invited 100 customers to sleep in its air-conditioned store. Many parts of England and Wales havn’t seen significant rain since late May, resulting in “tinderbox conditions”, said the National Farmers Union (NFU). The dry weather severely reduced grass growth and depleted yields for some crops, it added. Nearly ​​65% of arable land in Poland has been affected by drought, according to state news agency PAP. May in Poland was the warmest for 55 years, said Zuzanna Sawinska from the University of Life Sciences in Poznan. Germany had the highest May temperatures since 1881. The country’s grains harvest is forecast to fall 20% this year due to the drought. “In many regions we are suffering a massive shortage of animal feed,” admitted German agriculture minister Julia Kloeckner in early August. She said some individual farmers have been compelled to reduce costs by sending animals to slaughter earlier than planned. Drought-like conditions were reported after the amount of rain in May was 60% lower than the long-term average as the number of sunny hours jumped by 48%, according to the Estonian Weather Service. Between 30% and 70% of this summer’s crops could fail, said Tarmo Tamm, Estonia’s Minister for Rural Affairs. Farmers are considering selling their cattle because there was not enough fodder to feed them, claimed Urmas Kruuse, deputy chairman of the Estonian parliament’s Rural Affairs Committee. Estonia’s government has made €20 million available for farmers hit by the drought. The drought in Latvia was declared as a “nationwide natural disaster” in June. Farmers have been selling cattle because they don’t have enough fodder to feed them with. "Last year we had heavy rainfall and a flood,” Dainis Rutenbergs, a farmer near the central town of Dobele, told AFP. “My fields were submerged, and I wasn't able to harvest crops. This year: the complete opposite. I worry about my bank loans." The Latvian Orchardman Association warned 90% of cranberries, 60% of strawberries and 40% to 50% of apples and pears could be lost this year. Switzerland’s army in August began airlifting water to thirsty cows suffering amid the heatwave in high-altitude pastures. The federal government is cutting import tariffs on livestock feed to help farmers struggling in the drought. Philippe Leuba, head of economy and sport, said Switzerland had not seen a drought like this year’s since 1921. Dead fish have been recovered from the Rhine in Switzerland as the heatwave causes water temperatures to rise, which affects oxygen levels. The government declared Lithuania’s drought a nationwide emergency in July. Spring crop yields were estimated to be 15% to 50% down on 2006 levels, according to Lithuania’s agriculture ministry. The country has asked the EU for permission to allow its livestock to graze on farmland reserved for preserving the environment. Lithuania's total grain output is forecast to decline to 5.5 million tonnes due to the drought, down 13% on last year. The drought has hit Denmark particularly hard, with the spring harvest of grains and vegetables down 40% to 50%, according to Troels Toft, an official with the Danish Agriculture and Food Council. The losses will cost the country's farming industry around $944 million, Toft added. "We haven't seen anything like this for the last 150 years or so," he said. "When you drive around Denmark, it's not the country we are used to seeing. Some farmers will go bankrupt, that's for sure. If you had problems before the drought then this can be the push over the edge."